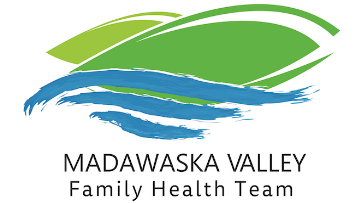 We seek to recruit a passionate and collaborative individual for the position of Full-time Social Worker (MSW) in the newly created Madawaska Valley Family Health Team (MVFHT), located in Barry’s Bay, Ontario. We are a small, rural Family Health Team (FHT) associated with a group of 6 physicians. We located in an area that has a high burden of chronic disease, low average socio-economic status and is historically under-served for health care services. The Madawaska Valley is known for its beautiful scenery of lakes, rivers and forests characteristic of the Algonquin Park area, ample outdoor recreation opportunities, and a strong sense of community. The Social Worker will provide comprehensive and coordinated mental health services. This will include therapeutic assessment, formulations and appropriate treatment. The spectrum of care will range from early prevention to offering time limited counseling. Interventions will focus on self-esteem, dysfunctional communication patterns, and maladaptive coping strategies. The Social Worker, will also act as a Health Promoter alongside the inter-professional team. S/he will participate in an ongoing assessment of patient needs and will develop appropriate programming to meet the identified needs. The Social Worker will establish and maintain ongoing liaison with agencies and community resources that are relevant to the health promotion and programs and services. Conduct psychosocial assessments, formulations and detailed intervention plans on those patients referred for service. Including the geriatric, adolescent and pediatric population. Develop short-term therapeutic relationships to foster coping and adaptation to health promoting strategies or chronic conditions. Provide a range of therapeutic interventions including individual, couple, family and group counseling and psychotherapy on a short-term basis. Management of common mental health problems. Determine the need for and implement health promotion and disease prevention counseling. Maintain accurate and concise confidential documentation pertaining to patient history and encounter data. Establish and maintain ongoing liaisons with the agencies and community resources that are relevant and necessary to the integration of programs and services, and high-quality patient care. Must be able to travel and hold a valid driver’s license with own transportation. Must be willing to work outside regular business hours. Must be willing to work in nearby communities. This is a full-time position, starting date in January 2019. Permanent with probationary period of 3 months. The Madawaska Valley Family Health Team is committed to employment equity, diversity and a supportive environment. The MVFHT welcomes applications from all qualified individuals, including women, persons with disabilities, members of visible minorities and aboriginal persons, individuals of diverse gender and sexual orientation and all groups protected by the Human Rights Code. The MVFHT offers accommodation for applicants with disabilities in its recruitment processes. If you are contacted by the MVFHT regarding a job opportunity, please advise if you require accommodation. Please note, only those selected for an interview will be contacted.